Paul Hazen became executive director of the Overseas Cooperative Development Council in February 2012. Previously, he represented one of the member organizations and served as OCDC’s board chair and as a board member. One of his most-recent initiatives with OCDC is the formation of its Research Group, whose mission is to research, formulate and share effective strategies for the development, performance and growth of cooperatives in developing countries. Throughout his career, Hazen has championed the U.S. cooperative system, which encompasses 29,000 co-ops; generates $654 billion in revenue; and creates more than two million jobs, representing $75 billion in wages and benefits. U.S. co-ops include Ace Hardware, Land O’Lakes, Inc., Sunkist, REI and the Associated Press. Hazen helped establish federal legislation promoting rural co-op development, formed a national network of co-op development centers and initiated national research into the impact of co-ops on the U.S. economy. Prior to joining OCDC, Hazen was CEO of the Washington, D.C.-based National Cooperative Business Association. Under Hazen’s leadership, NCBA’s cooperative development portfolio grew from $8 million to over $30 million annually. 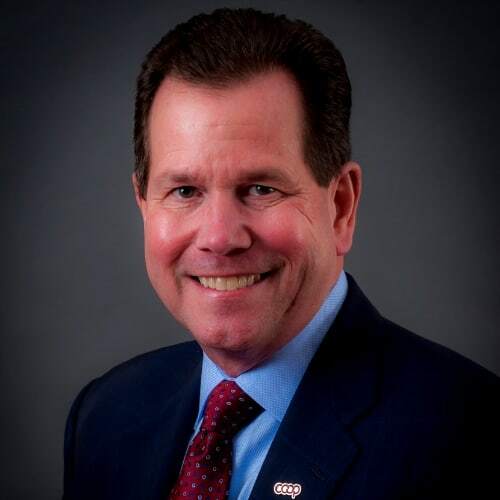 During his 25-year tenure with the organization, he held key positions, including chief operating officer, vice president of public policy, vice president of member services and director of consumer cooperatives. Active in cooperative matters at many levels, Hazen is the one of the founders of DotCoop the top-level domain for cooperatives around the world. He also serves on the boards of the National Cooperative Bank, Capital Impact Partners and the Community Purchasing Alliance Cooperative. Past board service includes the International Co-operative Alliance, Consumer Federation of American, Cooperative Development Foundation and Cooperative Business International. In demand for his cooperative expertise, Hazen speaks frequently at national and international forums on the role of cooperatives in community and economic development. He is a past recipient of the CEO Communicator of the Year award from the Cooperative Communicators Association.